We just launched an exciting new Widget which allows you to load carousels into your chatbot. It can be just a image gallery carousel or you can have buttons attached to it as well, which go to a specific chat flow. 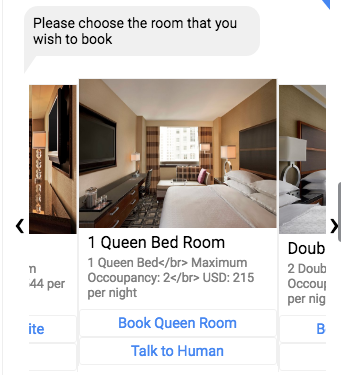 Test out the carousel widget in sample Hotel Chatbot in the Demo section (along with the spreadsheet used to create it) and read the documentation for carousel widget here. 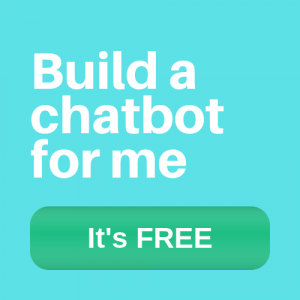 As always, if you want us to create a chatbot for you, please reach out to us. We will be happy to help.